Slydale Hollow: Bears, bears, bears! 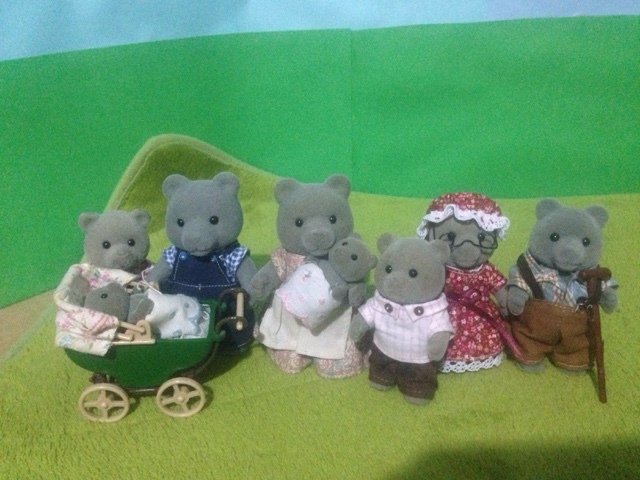 Over this past year there have been quite a few additions to Slydale Hollow, and some that I am extremely excited about are the new bear families! The Evergreens have grown from just the 2 of them to only missing the younger siblings! 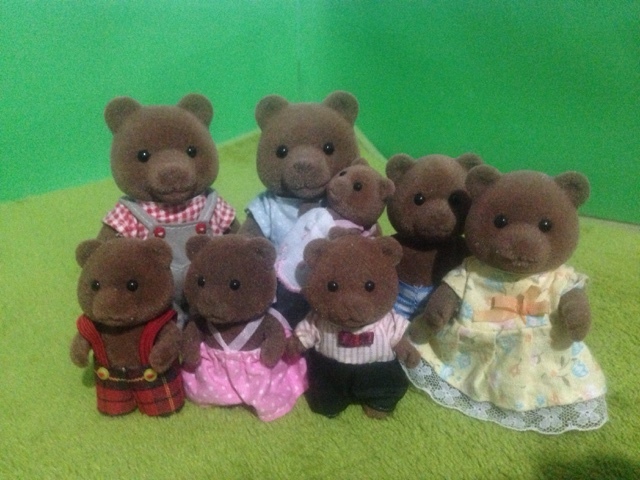 Just recently the Murdoch bears arrived. Dr. Murdoch met Forrest Evergreen at medical school & since retiring has been looking for a quite place for himself & Mrs Murdoch to live. After holidaying at the Evergreens, the Murdochs decided Slydale Hollow was perfect! 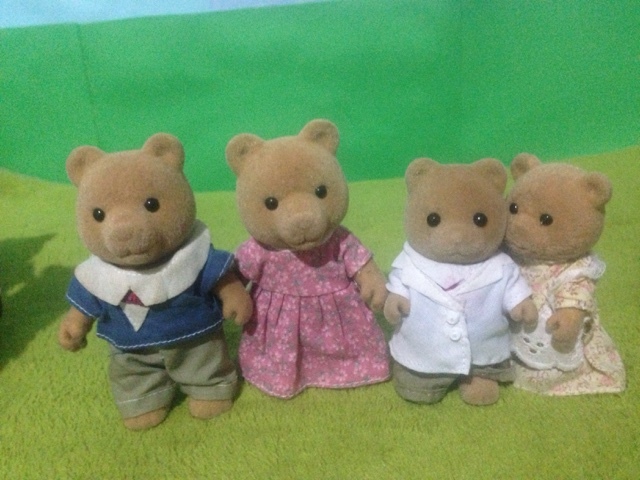 When they told their grown son & his new wife (May Blossom-Murdoch) their plans Dr. Murdoch Jr surprised them by announcing that he had been hired as the new village physician! The newest additions to the town however are the Huntingtons. Mrs. Huntington is Mrs. Murdoch's younger sister. The Huntingtons just want a simple peaceful life for their 3 young children, & where better than a quiet village surrounded by family? Here's to many "teddy bear picnics"
Many thanks to Cheri for the Evergreen baby boy & the Huntingtons. And to Barb for the Timbertops. Aw, so happy for all the growing families! Thanks Cheri. And thank you again for the Huntingtons! 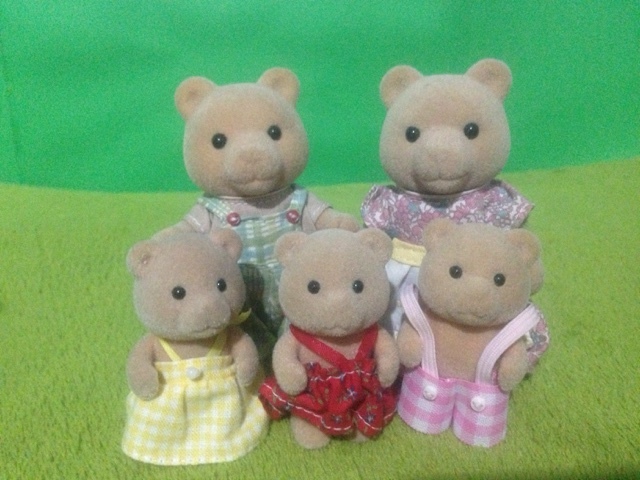 What a nice collection of bears you have. They are adorable!! Thanks! My favourites are the babies & parents, such cute faces!